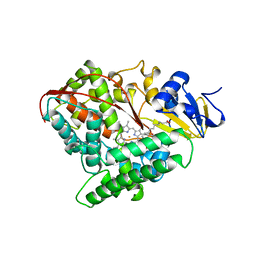 Cite: High-resolution crystal structure of cytochrome P450cam. 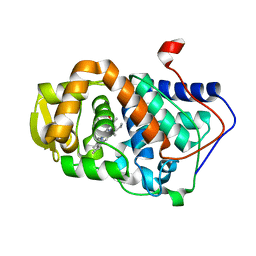 Cite: Crystal structure of substrate-free Pseudomonas putida cytochrome P-450. Cite: Crystal structures of metyrapone- and phenylimidazole-inhibited complexes of cytochrome P-450cam. Authors: Poulos, T.L., Edwards, S.L., Wariishi, H., Gold, M.H. 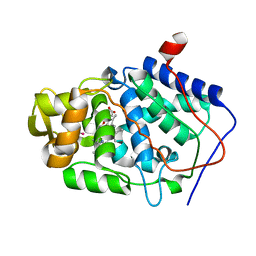 Cite: Crystallographic refinement of lignin peroxidase at 2 A. 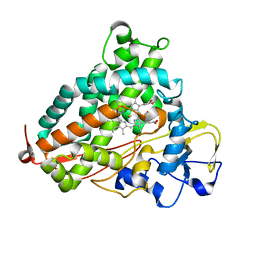 Cite: Inhibitor-induced conformational change in cytochrome P-450CAM. 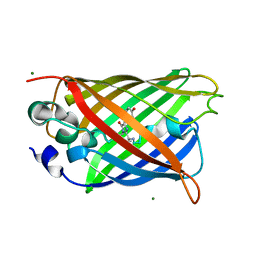 Authors: Poulos, T.L., Nagano, S.
Cite: Crystal structures of the ferrous dioxygen complex of wild-type cytochrome P450eryF and its mutants, A245S and A245T: investigation of the proton transfer system in P450eryF. Authors: Raag, R., Poulos, T.L. Cite: Crystal structure of the carbon monoxide-substrate-cytochrome P-450CAM ternary complex. 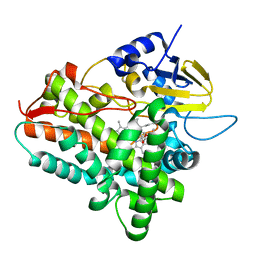 Cite: Formation, crystal structure, and rearrangement of a cytochrome P-450cam iron-phenyl complex. 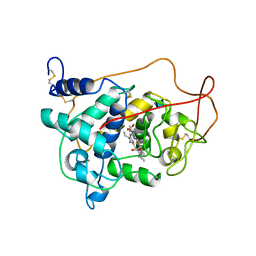 Cite: Crystal structure of the cytochrome P-450CAM active site mutant Thr252Ala. Cite: Crystal structures of cytochrome P-450CAM complexed with camphane, thiocamphor, and adamantane: factors controlling P-450 substrate hydroxylation. 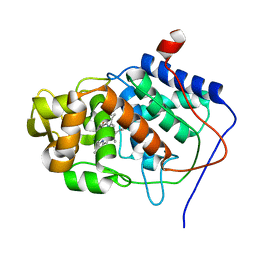 Cite: The structural basis for substrate-induced changes in redox potential and spin equilibrium in cytochrome P-450CAM. Authors: Li, H.Y., Poulos, T.L. 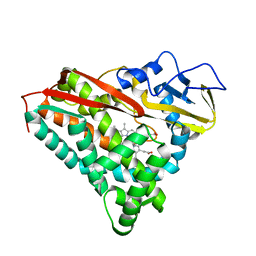 Cite: The structure of the cytochrome p450BM-3 haem domain complexed with the fatty acid substrate, palmitoleic acid.